For this special masala , grind 1 tea spoon pachforon , half a teaspoon fennel seed , half a teaspoon whole coriander, 3 cardamom pods, 1 cinnamon stick ( 1″ long) together . Don’t dry roast before grinding. 1. Boil the split pea and dry out the water . Now take half of the daal and blend with water . 2. Now Add more piping hot water and the remaining boiled , unblended daal . Don’t put too much water . 3. Add the turmeric ,garlic, ginger paste and the whole garam masalas ( cardamom , cinnamon , bayleaves) . Add Salt ,sugar and green chilies. 4. When the daal thickens , get ready for the seasoning ( Bagara) . In a pan heat oil . Add the sliced onion and ginger. Fry until brown . Add them into the daal. Add the special masala powder and 1 tbl spoon ghee. Turn off the stove and cover the lid until you serve . Enjoy with luchi , paratha , roti or even plain rice !!!!!!!!!!!!!! 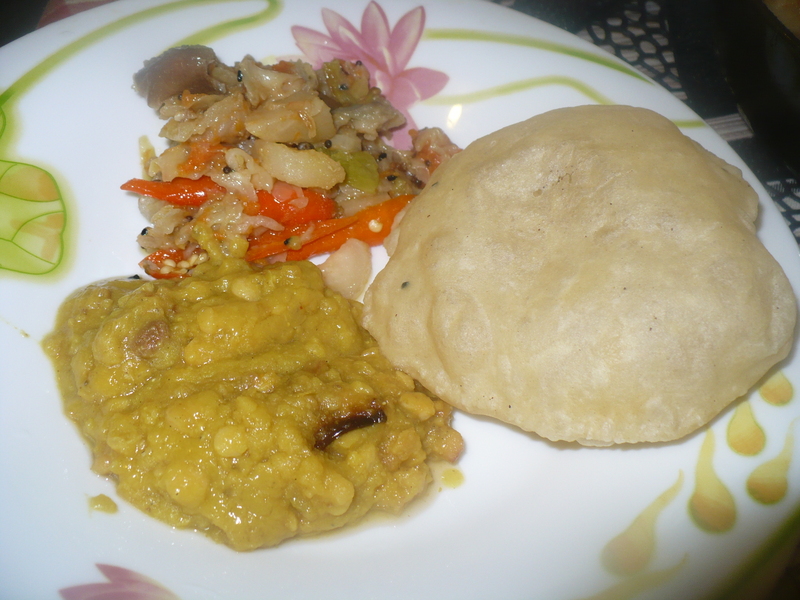 This entry was posted in Breakfast, Glossary / Notes, Rice and Grains and tagged Luchi'r daal . cholar daal, Split pea recipe. Bookmark the permalink.